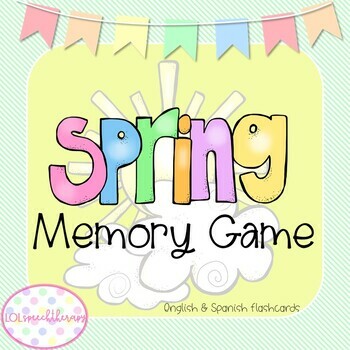 This memory card game can be used in speech therapy or as a center learning activity in the classroom. 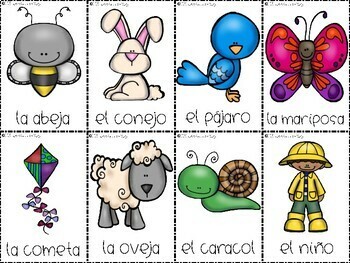 The card game includes a SPANISH and an ENGLISH version with 16 pairs. 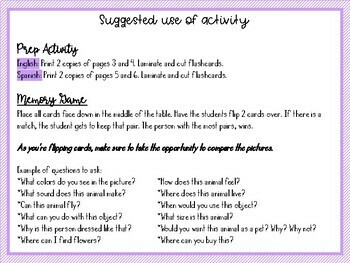 This activity can be used to target the following: labeling, identifying, extending utterances, simple wh-questions, comparing, categorizing, and describing.